School dismissed Thursday for summer vacation at Traverse City Area Public Schools. Fifth-graders at Eastern Elementary will attend East Middle School next year, so it was the last time they would walk the halls as elementary students. 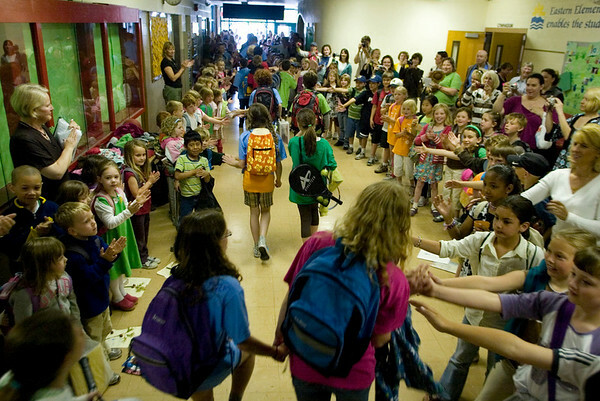 Students at Eastern Elementary walk through the hallways lined with other students, staff and parents on the last day of class, a school tradition. Fifth graders start the procession, and are followed by the lower grades.